This is contemporary living at its finest! Built by Jalcon Homes in 2010 the home is constructed of a weatherboard and plaster cavity system. It is positioned overlooking Greenhithe and Lucas Creek and it has the most amazing water views! From serene misty mornings to the most spectacular sunsets, the ever changing unrestricted Vista's will never grow old. Combine the view with the peaceful surrounds, the location provides an escape from the hustle and bustle of city life. It is like escaping to a holiday retreat every time you come home. The modern kitchen and main living space have soaring windows designed to encapsulate the vista and water outlook. An entertaining deck for summer BBQs leads directly from the kitchen/dining area and main lounge. The house has been well thought out with the master bedroom in a private separate wing of the home, overlooking the water. Three further bedrooms and a family bathroom are on the lower level of the home opening out onto easy care and thoughtfully landscaped grounds and a second entertaining deck. With double glazing throughout and smart wiring for both the entertainment hub and wired ethernet this home has been future proofed for technology. 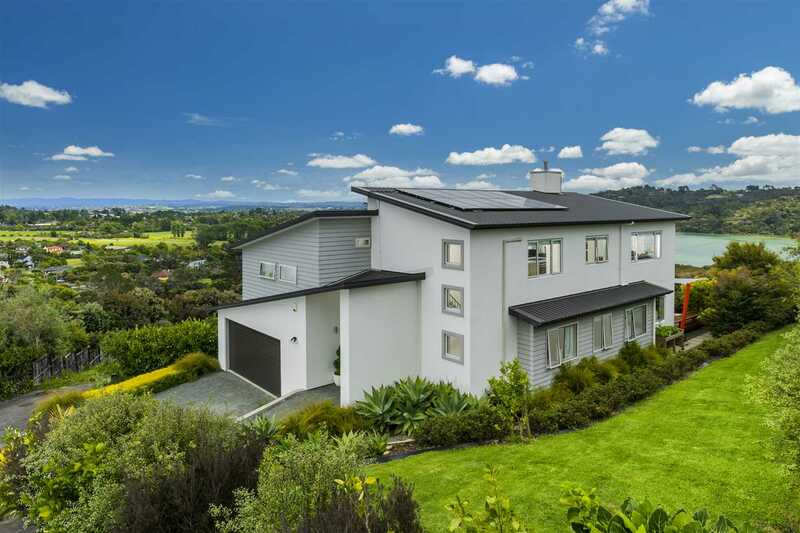 A solar panel and battery pack system managed by Vector ensures the house has a low carbon footprint. More recently a public transport bus route has been added to the neighbourhood off Schnapper Rock Road. In addition to transport to local schools, Upper Harbour Primary, Albany Junior and Senior High Schools with Kristen and Pinehurst also nearby. My vendors have committed to relocation, make your move to secure this stunning home!